You may register for access to manage your GP appointments online. Once registered you simply click on the link above to book appointments online. You will initially need to present photo ID to reception to be issued with login details. Further information can be found in our Online Services section. Booking Online: The online booking system enables you to book an available appointment with the doctor of your choice at your convenience. Some additional appointments are released on the day for urgent same day appointment requests. Should a suitable appointment not be available online please contact the surgery appointments line on 01359 253700 and a receptionist will endeavour to help you with your specific request. You can also telephone our appointments line direct or call into reception to make an appointment. Appointments are available to book in advance for routine issues but these can fill up quickly. Please note that at times of heavy demand, such as winter pressures or during holiday periods, you ma have to wait a little longer for a routine non urgent appointment. You can telephone at 8 am on the day you would like to be seen for an urgent available appointment. All genuinely medically urgent cases are seen on the same day, but not necessarily by the doctor of your choice. You are asked to confine your discussion to the urgent problem. Appointments for blood tests need to be booked with the phlebotomist. Emergencies: If you need attention in an emergency telephone 01359 251192. Telephone Consultations: We are always happy to pre-book a telephone consultation with a doctor or nurse if you feel it is not necessary for you to attend the surgery but would like medical advice. Please inform the receptionist of your preference. The doctors are happy to talk to you on the telephone at other times as this can sometimes save having to make an appointment. However, the doctors are not interrupted during their surgeries so please try to telephone between 11.30 am and 1 pm or between 6 pm and 6.20 pm, when a doctor will usually be available to speak with you. If a doctor is not available at the time please be prepared to leave a message for them so that they can return your call. For full details of the consultation times of all our consulting staff see the Practice Information Page 'Consulting Times'. Please make requests on 01359 251192 between 8.00am & 10.00am except in sudden emergency. The receptionist will pass the request on to the duty doctor who may speak to you personally and offer advice as well as discussing the visit. The practice covers a large rural area and we are always grateful if patients can try to come to the surgery— five patients can be seen at the surgery in the time it takes to make one home visit. 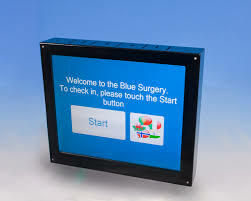 If you have an appointment booked please use the self arrival screen located in the reception waiting area. The clinician that you are seeing will know that you have arrived. From 1st September 2016, the Practice has taken the decision to implement a new policy whereby this facility will be restricted to patients aged 18 years and over. Once a patient reaches this eligible age, they need only contact the surgery for it to be activated. 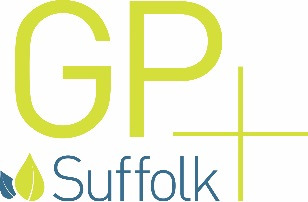 The service is staffed by local Suffolk GPs and Nurse Practitioners in Bury St Edmunds, Haverhill, Ipswich, Stowmarket, Wickham Market, Felixstowe and Leiston and is an NHS service delivered by the Suffolk GP Federation. You will be given a booked appointment and will be seen by a suitable local GP or nurse who will have access to your medical records (one consent is given).